A pop of color makes a world of difference when it comes to the windows of your home. Use the natural light as well as electric lighting to enhance color application. Whether choosing a subtle or dramatic color ,this addition is an inexpensive & effective way to refresh a room. Inside the box? Think outside the box for a minimalist type home. Simple home maintence of systems & appliances keeps life good! 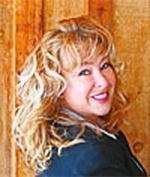 Home Inspectors are an excellent source of home owner tips. Don Hester of North Central Washington Home Inspections sent out great tweet regarding dryers and safety. Check it out! Do you want to buy the perfect home? Of course you do! So let's begin with the definition of Perfect. Per-fect: Lacking nothing essential to the whole or complete of it's nature or kind. Being without defect or blemish. Hmmm... that means a home purchaser needs to be equipped with flexibility and a discerning mind in order to successfully 'buy a perfect home'! Every home has a level of quality and integrity or good bones. The smartest buyers know that there may be items for attention to make the home a perfect fit. The trick is to assess what is reasonable to take on and what is either too complex or costly to ultimately reach the perfection you dream about. I like the list of these 10 items that are attainable applications as well as some that are not and may mean you need to keep looking. Stress relief for sellers when your home is being shown: TIPS to LIVE BY! Seller S.O.S.! There is no question, that when you sell a home your daily life rhythm is disrupted. Here are 9 tips to help balance your lifestyle throughout the home selling process. Methow Valley Wildflowers are in bloom! 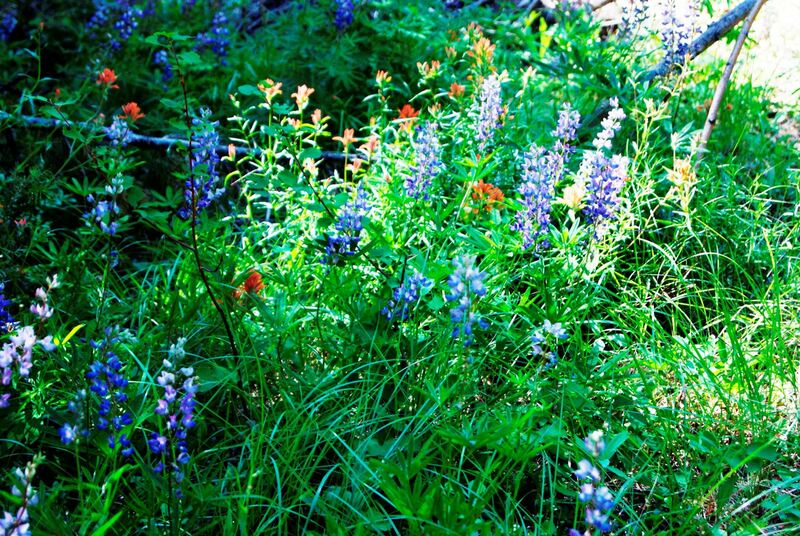 FYI : Methow Valley Aficionados; Wildflowers are in bloom! Thinking of taking a hike on the 4th of July weekend? Many trails are open and the Wild Lupine, Indian Paintbrush, Lady-slipper, Avalanche Lily & Yarrow are everywhere! Be prepared as there is still snow patches in some places in the higher elevations. Also some tangled avalanche debris to navigate if you are going to Blue Lake! Celebrate & Levitate your freedom ...to hike in the hills and more! The Mazama community has a crowd pleasing advantage for those looking to purchase a home, cabin or land with many recreation trails that meander through the upper Methow Valley area. It is our great fortune to have the local organization of M.V.S.T.A., (Methow Valley Sport Trails Association) as established some 25+ years ago by a few visionary denizens of the day! The vision was twofold... have a fun, fit, healthy way to get to and from work, a friends place for lunch or the grocery store as well as generate viable benefits to the local economy. More and more people are realizing the value of having an integrated trail system within their neighborhoods. Maybe it's a distant memory from over one hundred years ago when pioneers recognized the convenience of following the trails created by animals to indeed go through parts of the West and eventually establish their homestead, along the very trail that brought them to the place they call home. Today we are seeing the value of being on or near the trail system resulting in a healthier population, higher property values, and a super fun way to experience the landscapes and beautiful environments the area offers at every turn in the trail! These trails have inspired many events that the community supports and enjoys as both active or passive participants. Whether you have a cabin,home or land with the trail system passing by or through the property it translates as a benefit. It makes it so inviting and convenient to step out your door and onto the trail for both mind and body benefits. Easy access at the many established maintained trail heads make it a pleasure to experience a low impact way to workout and alleviate the conventional congestion of the roads. I invite you to explore a trail that is near you soon! And by all means if you come to the Methow Valley, make the trail a priority on your list of things to do... Happy Trails! Outstanding creativity made this Lost River family effort fun with a frozen solid result! Making the best of a Winter day might be an industrious effort or a sporting one. Winter is known for it's shorter daylight hours so no matter what the activity, getting an early start is recommended since we simply have less time in the day for outdoor doings. That being said this Igloo is the result of a vision to create a real Igloo by this Lost River family next to their cabin! 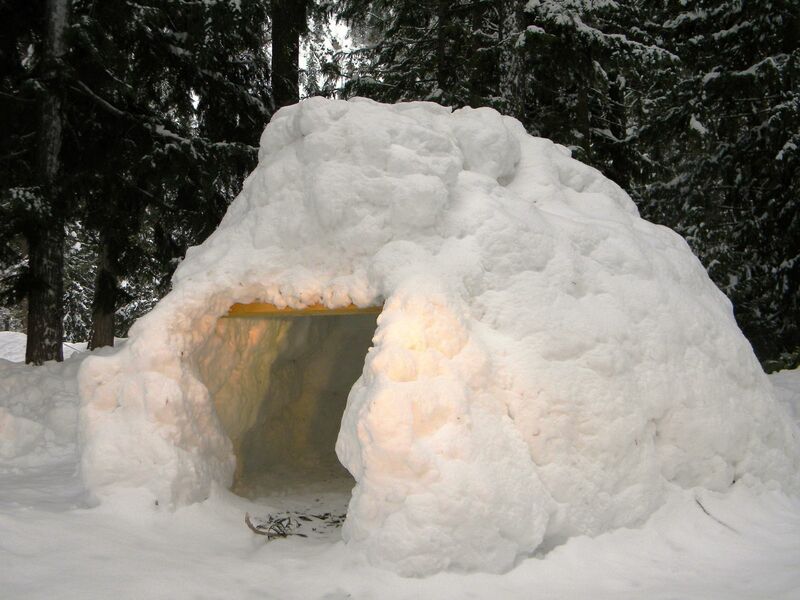 To get an idea of the size of this Igloo, the entry door is about 2.5 foot opening with a piece of 2 x 4 as header. The highest point of interior is at 6 feet 3 inches and approximately 8 feet in diameter. A small fire pit was made in the center of this Igloo to accommodate marshmallow roasting. A good time was had by all. After being invited to come and see this inspired frozen structure it made me think of all the various structures that people have made throughout history for their home place. In todays world of home building we have building technology that make for comfortable energy efficient living. The imagination combined with 21st century tools and materials can have marvelous results for your building projects.The Lost River Cabin that now has a guest accommodation in form of an igloo (!) is a super well insulated cabin that has many warm and well crafted features for a great getaway in the upper methow valley. An energy efficient home uses less energy in the winter months by using adequate insulation in walls and attics. Weatherize your home or cabin by applying weather stripping and caulk to plug air leaks around doors and windows. Ask your utility company for a home energy audit to find out if it is poorly insulated or energy inefficient. This service is often provided free or at a low cost. Another easy way to use less energy for heating or cooling is to install a programmable thermostat.